A 5% improvement in customer retention can increase profits by up to 95%, which is why the world’s most innovative publishers and fastest growing retailers work with Sailthru to build deeper, longer-lasting connection with their customers. 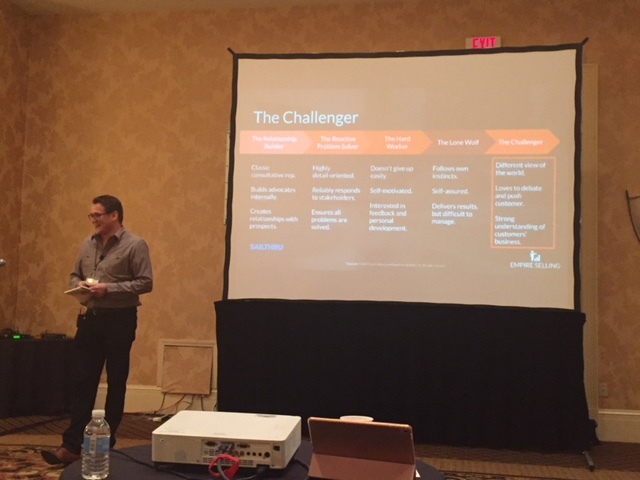 Empire Selling pulled together a 3-day workshop for our Sales Kickoff in January 2018, and completely blew the team away with his concise breakdown of the Challenger Sale. His training was tailored to our needs as a SaaS business with clear and engaging (yes, actually fun!) exercises that made it feel less like a conference and more like an interactive working session. The best part of working with Dan Swift, by far, was the open floor Q&A where our team could really dig into the wealth of knowledge and years of Sales experience he brings to the table. Dan was candid, funny, and pointed with his feedback which the team still refers back to on a regular basis. I personally walked away with a stronger backbone for objection handling and pricing negotiations - both of which can be difficult conversations for a green Sales person to get under their belt.